The second level addition, master bedroom door to deck, and adjacent windows were designed to match the existing windows of the living room. 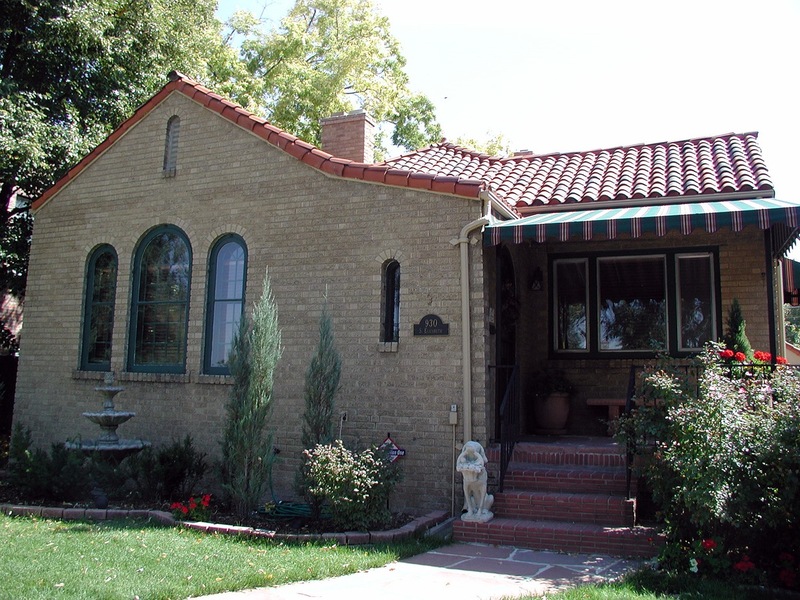 The masonry from the garage was re-used to match the existing single story home precisely. Bonnie Brea neighborhood. 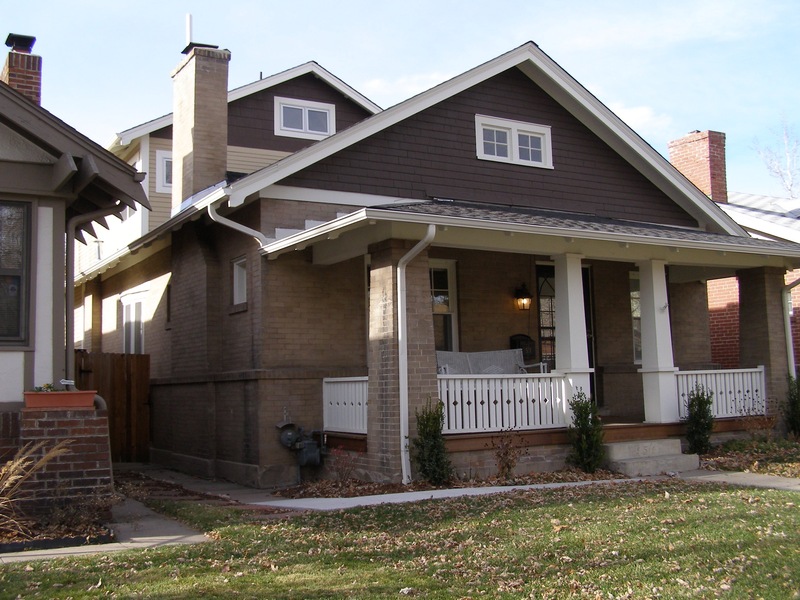 Designing a second story addition in a Denver Landmark Historic District presents some limitations. 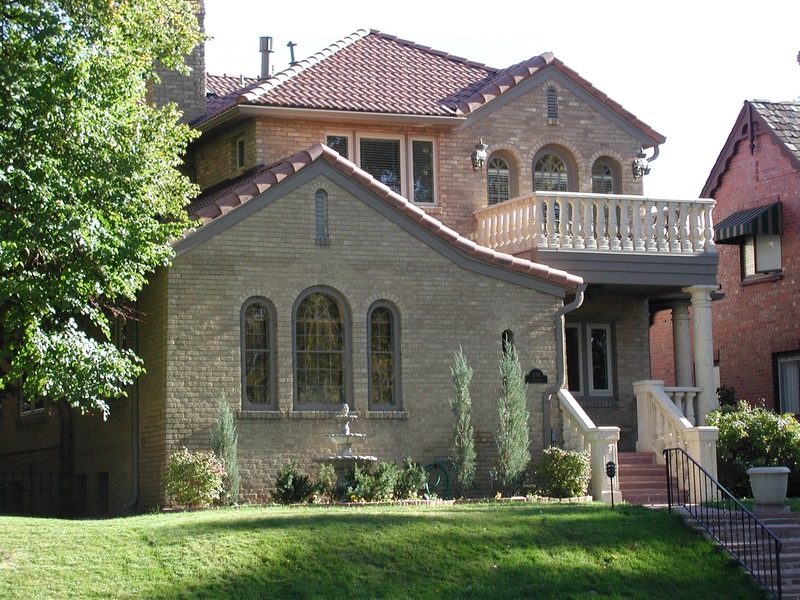 Guidelines require the upper level to be setback from the front elevation to distinguish the new from the old (example below).